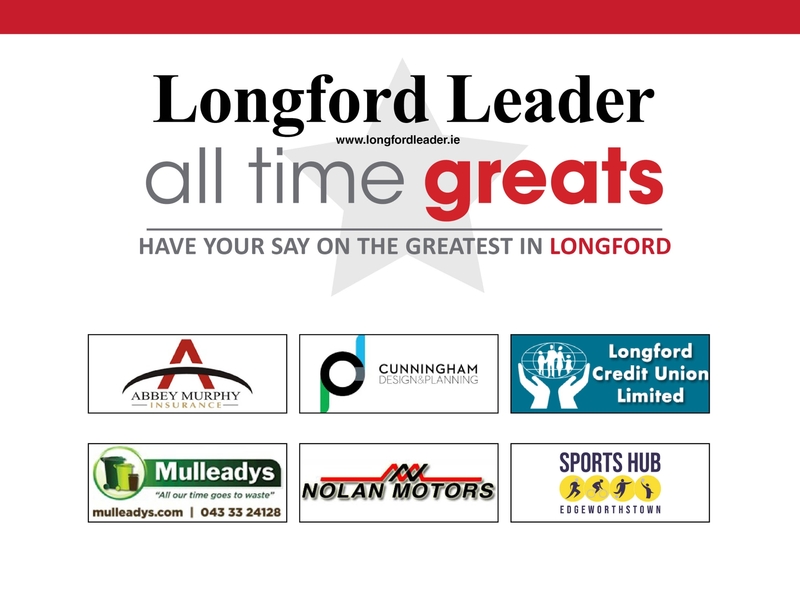 You nominated and you voted and now we know the identity of the eight greats that have progressed to the quarter-finals of the search for the coveted title of Longford's All Time Great. Voting in the Longford All Time Greats Round of 16 produced a few surprises and some eyebrow raising results, but we have had to say goodbye to eight of those who are great Longford people in their own right. Thanks to everyone who voted so far - the quarter final pairings will be announced on Friday evening, February 1, and polls in the quarter final will open over the weekend so don't forget to have your say and cast vote! Record breaking Longford athlete Ray Flynn put in a sprint finish as he racked up 78% of the vote ahead of the 22% secured by literary giant Padraic Colum. Star Hollywood actor, Will Ferrell, may well be fiercely proud of his Longford roots, however, his Longford fans abandoned him on this occasion as he won favour with 22% of voters and the wonderful Sister Calasanctius, a lady who devoted here lifetime to helping the sick, poor and downtrodden people of Longford, secured 78% of the vote. World renowned choreographer Marguerite Donlon, who is a native of Longford town, danced her way past the Blacksmith of Ballinalee, Sean MacEoin, who was the leader of North Longford Flying Column during the War of Independence by 69% to 31%. Famous poet, novelist and playwright, Oliver Goldsmith received 67% of the vote, with one of the most successful businesswomen in the country, Ballinalee native, and the CEO and founder of CPL Resources, Anne Heraty, ending up on 33%. Former Taoiseach Albert Reynolds was a convincing winner over Eugene McGee. 2017 Midlands Simon Community Longford Person of the Year and Cystic Fibrosis campaigner Jillian McNulty was was the most comprehensive winner in the Longford All Time Greats - Round of 16. Prolific writer of literature, Maria Edgeworth, triumphed against Kenagh native Liam Mulvihill, who served as Director-General of the Gaelic Athletic Association. Granard show jumper supreme Eddie Macken succumbed to Padraic Gearty, an accomplished sportsman, who was involved in several associations, organisations and clubs in Longford in the closest vote in the Round of 16.